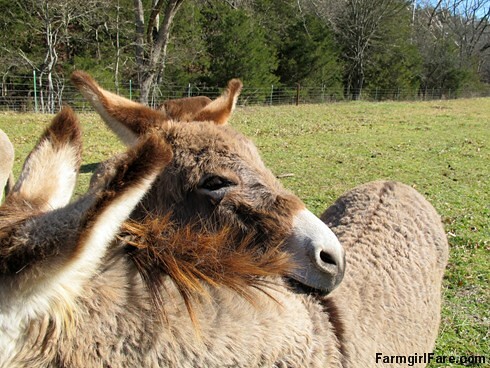 Our mini donkeys used to do that all the time too! Oh how I love your donkeys! (Okay, I know, I say that about all your farm animals - there's just something special about all of them!!). Thank you so much for sharing them with us.